The saying, “Looks can be deceiving” definitely applies to Nidhogg, an indie game from developers Messhof. Nidhogg has the graphical style of a classic Atari 2600 game, but underneath the deceptive simple graphics is an exciting, action driven and addictive multiplayer game. 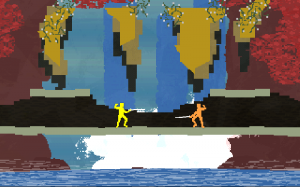 Nidhogg is an arena fencing game that pits two players against one another. The goal is simple: each player must reach their exit goal to win the match. All you have to do is kill your opponent that stands before you. Sounds simple but it’s anything but. The combat is very intuitive in a rock-scissor-papers kind of way. You can hold your sword at three different angles that can either deflect projectile swords, disarm your opponent, or prevent them from rolling behind you. The arenas also play a strong hand in the combat. Narrow passageways can make it difficult for either person to have the upper hand, tall grass turns the whereabouts of your opponent into a guessing game, and disappearing clouds that alter the landscape give an advantage to the first person to react the fastest. The controls are incredibly responsive when using either a controller or keyboard. The move execution is pretty easy to get a handle of and it’s very easy to pull of evasive moves like the round roll. I never detected anything like input lag when playing offline or online. I just wish most fighting games has responsive controls like Nidhogg’s. You learn how to play the game properly by taking on nearly 20 CPU opponents with varying difficulty in the single player arena mode. The final four CPU opponents are the most difficult because they react almost instantly to any of your actions and move at twice the speed. The challenge is exciting and definitely a good way to learn how to tackle almost any situation because the AI is pretty damn good. 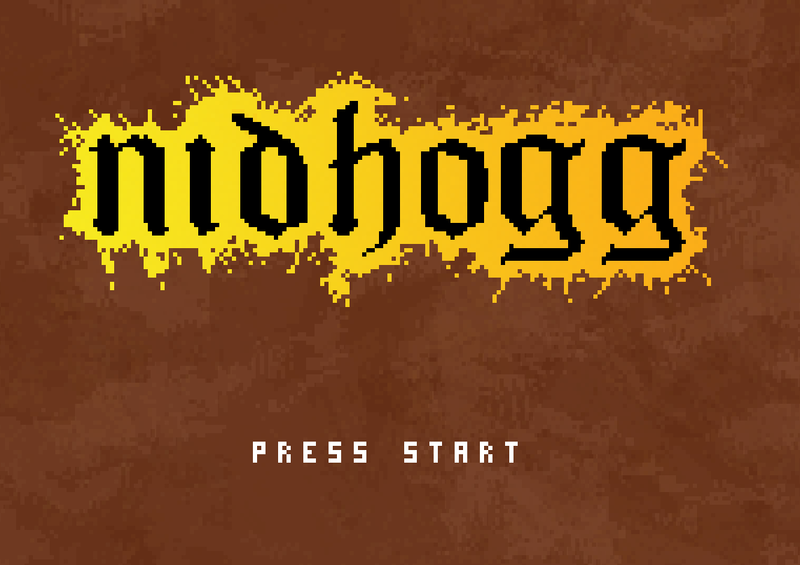 After you beat the short single player mode, you will instantly hop over into Nidhogg’s multiplayer. 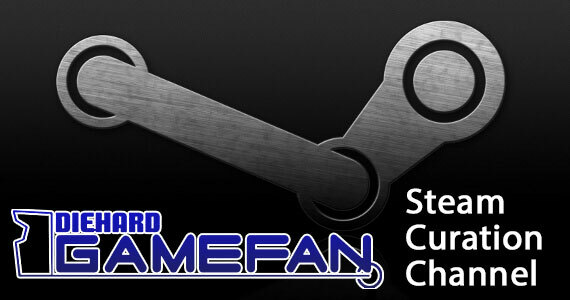 You have three different multiplayer modes which include offline, online, and tournament. Offline is your standard local versus affair where you can duke it out with a buddy next to you. Tournament is just like offline mode but for multiple people and for bragging rights. 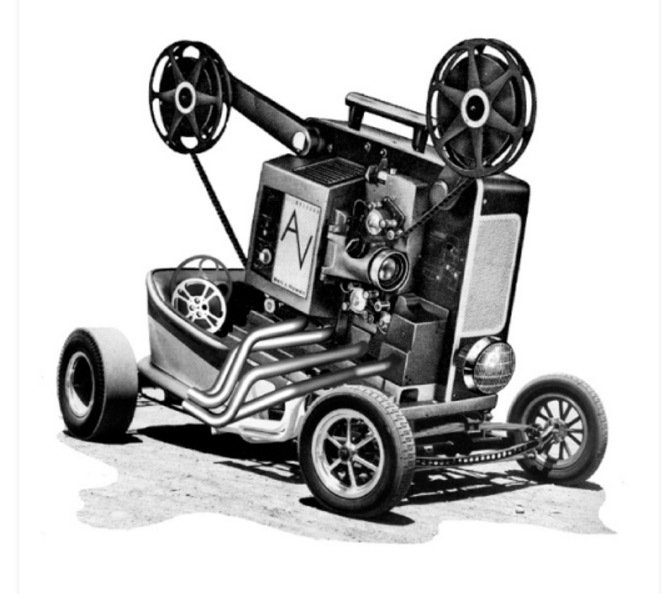 Tournament mode plays out in a traditional bracket that can have up to eight people in total. Online is truly where the game shines because that is where you will get the most bang for your buck. 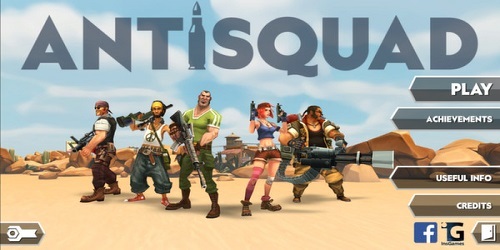 Online allows you to either fight friends or match make with random people and take each other one in one of the game’s four arenas. In online mode, you have the reactions of a human to outwit and sometimes a match can take 20 minutes to win or as little as 20 seconds to end it if you have the upper hand. If you get bored with the basic game, there are variants that you can activate that change up the pacing and strategy of the game. The game becomes a whole different ballgame when you can have a sword you’ve thrown boomerangs back to you. Other notable variants include baby mode which forces you to fight kneeling down, a time limit for the match, and low gravity mode. You can even make the matches a classic fist fight by disabling swords or turn up the speed by activating turbo. 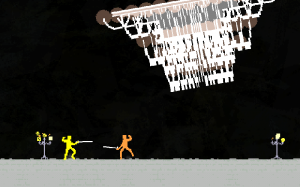 Nidhogg is a fun experience but it does have a couple of flaws. Its first flaw is that there are no other offline modes aside from the single player arcade mode which can be completed quite quickly. The second issue is that online play seems to be pretty barren. One moment, matchmaking will detect barely ten people online to fight, and then after refreshing it will find nobody. Also if the matchmaking service does find people online it takes quite a long time to even get connected to an opponent. Aside from those minor issues, Nidhogg is a fast and addicting game with tons of fun to be had. The game may look like it belongs in 1979 at times but again, looks are deceiving. What we have here is a solid and aggressive game that relies heavily on twitch reflexes and timing. 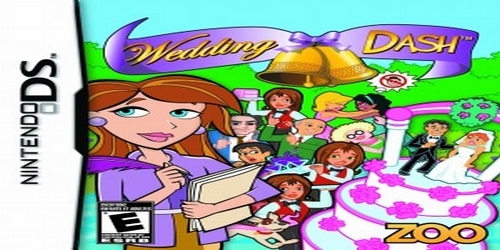 It’s a small game but what you get back in return is hours of endless fun. 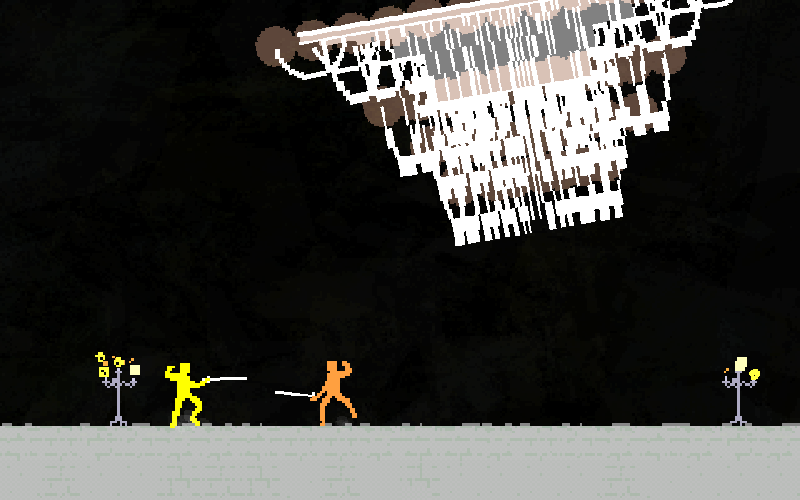 Nidhogg is an excellent action arena combat that anyone can pick up and play easily. 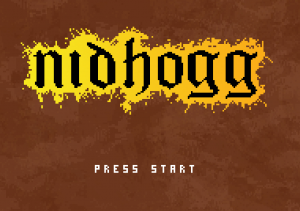 Nidhogg’s controls are wonderful for a fast paced game that relies heavily on twitch gameplay. The graphics may looked dated but it works for Nidhogg, and the arenas that you compete in all have a natural flare to them. The music is topnotch and adds to the already intense battle that you are waging. Nidhogg’s online multiplayer is where you will be spending the majority of your time, even if most of that time is just you waiting for a match. Nidhogg does run pretty cheap and is totally worth the investment from the hours of fun you will have.